The goddess of love embodied in a butterfly. Send everyone's heart a fluttering. This brooch is of substantial size and measures 30x40mm. 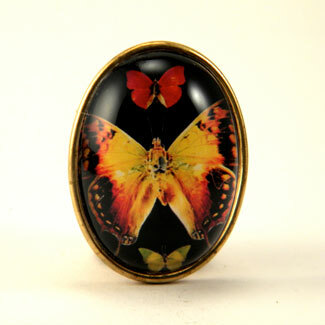 Image is protected and enhanced by a large acrylic cabochon in a brass setting.